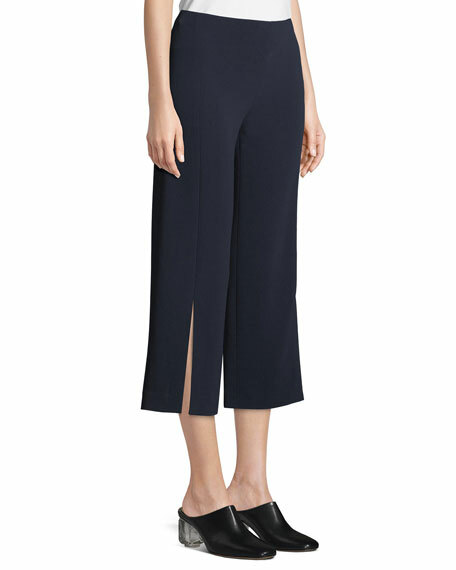 THE ROW "Paber" cady pants. Approx. 24" inseam; 32.5" outseam. For in-store inquiries, use sku #2362041. 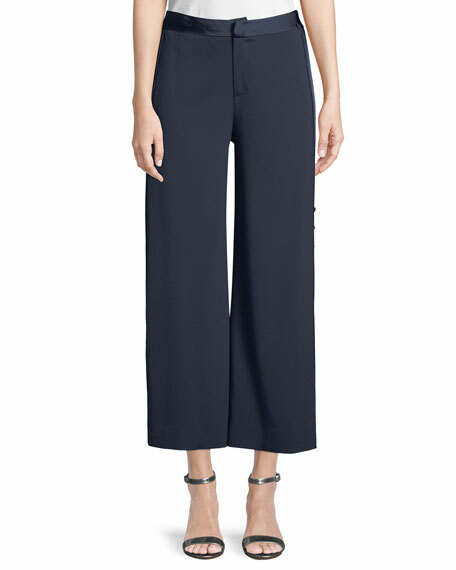 Cushnie pant with dual zipper front closure. High rise; flat front. Slim legs. Flares from knee. Cropped above ankles. Viscose/spandex. Dry clean only. Made in USA of imported material. 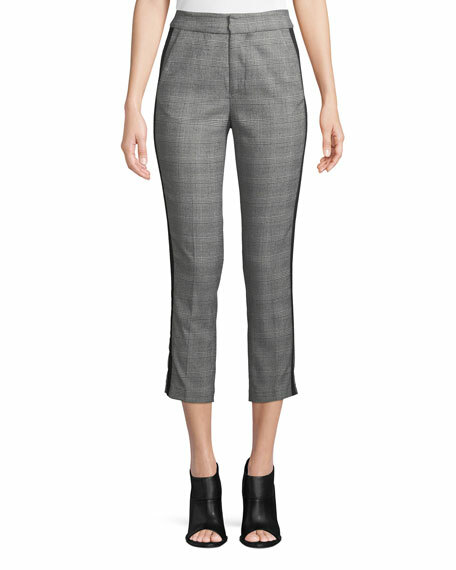 Joie "Kenadia" pants in plaid with contrast side-stripes. Mid-rise; flat front. Side pockets; back welt pockets. Fitted through straight legs. Calf length. Hook/zip fly. Polyester/viscose/spandex. Imported. 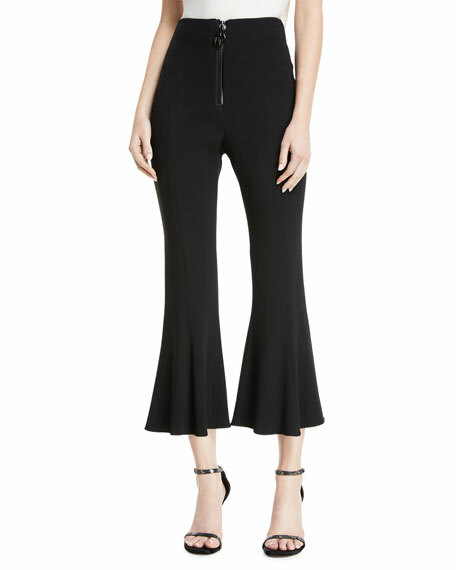 Jonathan Simkhai deconstructed crepe pants with satin trim. Mid-rise. Side slip pockets. Button trim down legs. Relaxed fit. Wide legs. Cropped at ankles. Hook/zip front. Viscose/acetate/spandex. Imported of Italian materials. 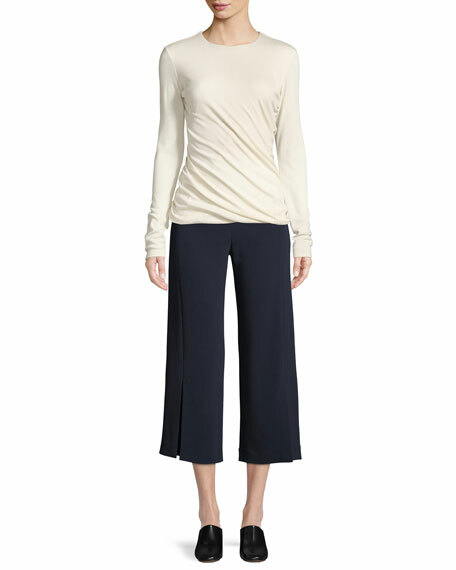 Rag & Bone "Simone" soft, stretch ponte knit pants. Approx. 27" inseam; 36" outseam. 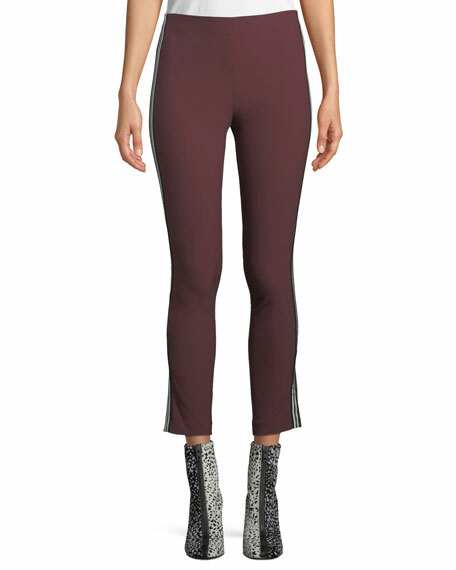 Band-free, mid-rise waist. Flat front. Fitted through skinny legs. Cropped above the ankles. Concealed back zip. Viscose/nylon/spandex. Imported.